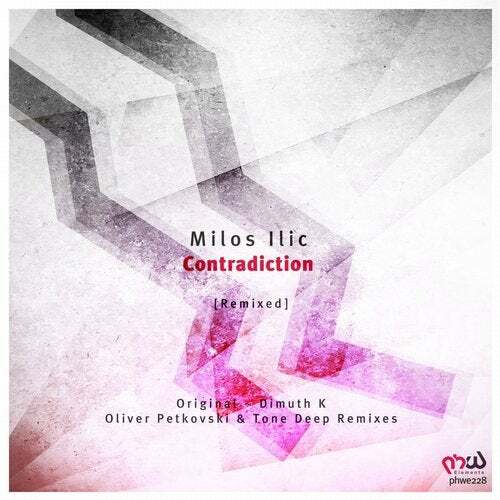 This monster of a track is now back on the label as we do a 2nd remix edition of Milos Ilic - Contradiction, a true monster gaining worldwide recognition. This time we deliver the original in full flare again that is a huge progressive journey, packed with exciting elements to build that clever drive and energy that we so often seek for. To complement, we see a new rendition from an artist that we always held high as Sri Lanka based producer Dimuth K returns once again to our PHW Elements division. For those of you keeping track of the genre, know all about hs skills and achievements over the years. Having his music released on many of the top labels in the business, he surely has made a name for himself and he is well worthy every recognition that he gets. This is another deep and melody driven journey from him, where he showcase what a rare producer he is. With a fantastic atmosphere built up through clever selections of sounds, he surely strikes with another winner with his reinterpretation that we know will be a magic piece to many of you. We are truly happy to see him back again and join forces with the PHW Elements label. We are equally happy to present another addition to the label as we have the pleasure to welcome the collaboration between Oliver Petkovski and Tone Deep to our home. This is a really quirky and energetic rework from these talented artists that gives the full release another dimension. With crisp percussion and superb grooves, they make a whole lot with their production as they are to give you a real treat with their distinct version. We are both proud and happy to see them join with us!